The Think About Energy series latest stop was Misericordia University where the importance of building much needed energy infrastructure was discussed. Borton-Lawson, Cabot Oil & Gas Corporation, UGI Energy Services, UGI Utilities, and Williams, in conjunction with ACT for America and the Back Mountain Chamber of Commerce, hosted a “Think About Energy” Briefing today at Misericordia University. The briefing was the 11th in a statewide series now entering its fourth year. The latest northeast Pennsylvania session drew nearly a hundred attendees seeking information about the current state of Pennsylvania’s shale gas revolution and what to look for during the second half of 2017. The session’s themes included Pennsylvania’s continued escalating natural gas production, natural gas pricing and pipeline build out, as well as the industry’s impact on jobs and career opportunities. Bill desRosiers of Cabot Oil & Gas Corporation moderated the discussion. 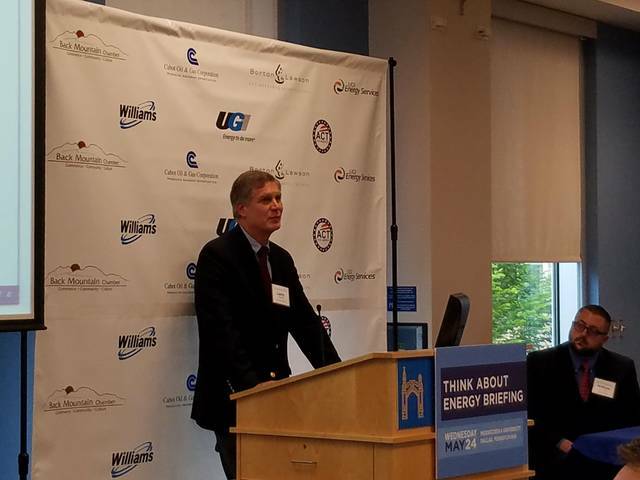 The Briefing’s speakers included Abe Amorós of the Laborers’ International Union of North America (LiUNA), Mike Atchie of Williams, Larry Godlasky of UGI Energy Services, Carl Marrara of the Pennsylvania Manufacturers Association and others. 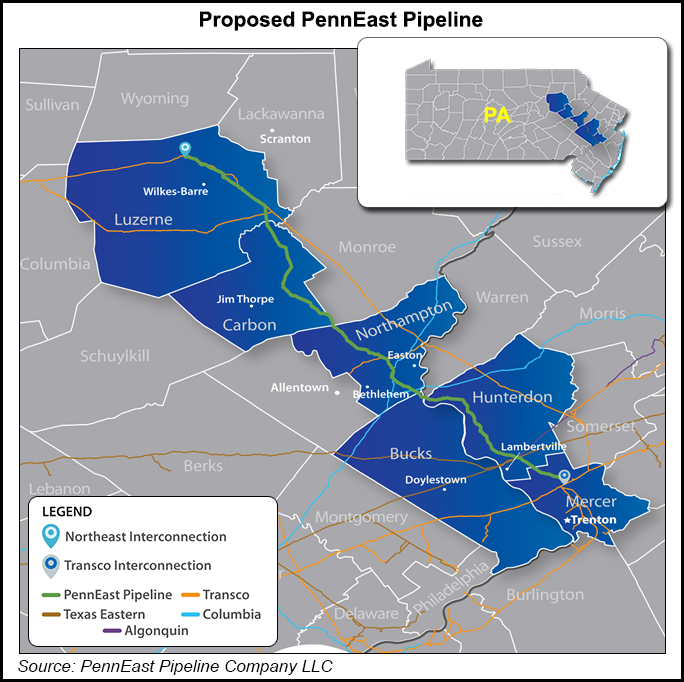 New pipeline projects advancing in Pennsylvania include the Atlantic Sunrise and PennEast, both of which were profiled at today’s Briefing. The Pennsylvania Manufacturers Association’s Carl Marrara explained why manufacturers care so deeply about Pennsylvania natural gas reaching their factory floors. Marrara discussed how manufacturers, large and small, use natural gas in their operations. “Whether you’re a large manufacturer using natural gas for drying or melting, or a small manufacturer using natural gas for heating and hot water, natural gas is reducing costs for manufacturers – allowing them to create new jobs, raise wages, and invest in equipment,” said Marrara. Wednesday’s event also featured Chris McCue of Borton Lawson, Philip Medico of Medico Industries, and Don Brominski of UGI Utilities. McCue, Medico and Brominski further highlighted how Pennsylvania businesses are increasingly turning to natural gas for their energy needs. Today’s “Think About Energy” Briefing is the continuation of a four-year series that brings together Pennsylvania’s natural gas producers, “midstream” companies, utilities and users to discuss the many economic and environmental opportunities afforded by Pennsylvania’s abundant natural gas reserves. The series examines the latest industry developments and trends from the wellhead to homeowners’ meters. Reposted from Well Said Cabot. Where are all of these “sacrificed residents” you speak of, Vera? I live in Susq. County, and everyone I speak to welcomes the activity. Where does the “dirty fuel” you burn in your car and heat your home with come from, sunbeams? Certain fractivists have sucked energy their whole lives and now in their golden years they feel the urge to save the planet and deny that energy to the next generation. Unfair. Yawn !!! Polly want a cracker ?? President Trump has proposed a $1 Trillion Infrastructure Program. Such a program is necessary to rehabilitate the USA’s deteriorating bridges, roadway, electrical grid, water wastewater treatment systems etc. The issue is not the intent but (1) its cost and (2) who pays.